Why fight a battle against the traffic to get to the movies. Announcing a Multiplex at our sprawling 28 acre Micro city at the intersection of peace and accessibility at Upper Panjim, Goa. 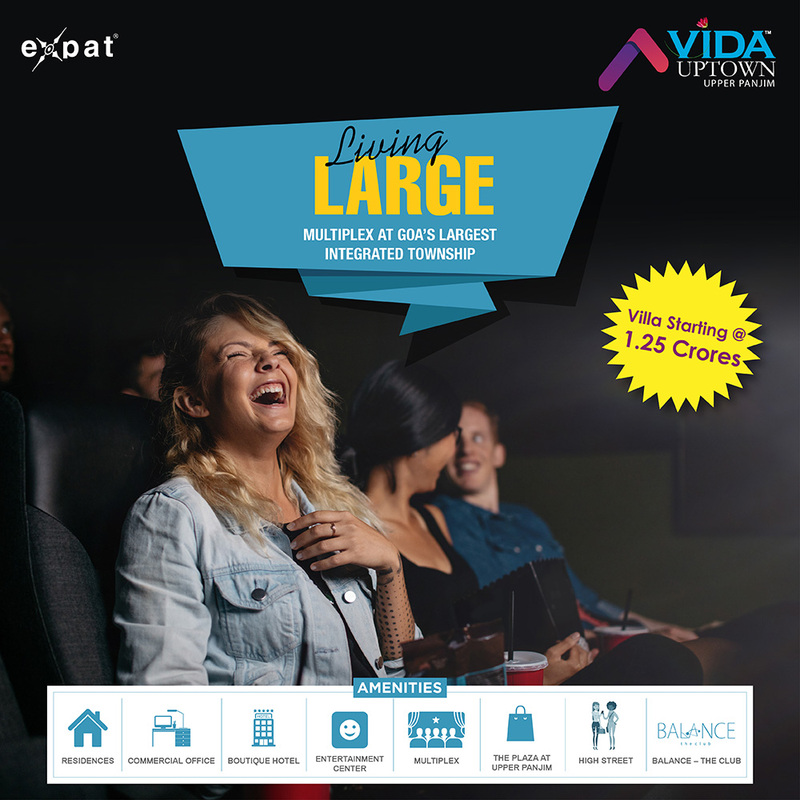 Huge at over 1 million square feet, enjoy daily access to a shopping mall, high street and entertainment center when you call the Row Villas at Expat VIDA Uptown home.